30+ Stunning Joomla Virtuemart Templates – Start Your e-Commerce Website Today! It is more and more common that web developers use solid and mature multi-purpose CMS platforms, such as WordPress, Drupal and Joomla, for building professional and easy to maintain websites, web applications and webshops. These solutions are interesting because they are easy to set up, they make it a breeze to publish content and further you can find tons of pre-made extensions and website templates to kick start your projects. 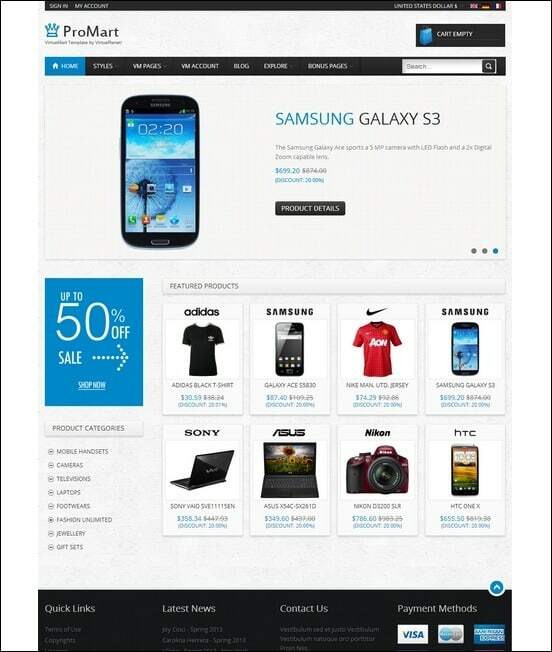 A good example of this is the use of Joomla with the Virtuemart module for builsing e-commerce websites. In addition, it is also quite popular to use WordPress with WooCommerce compatible themes, and I have to say, if you did not choose Joomla as your future CMS yet, I recommened that you take a look at WordPress as well. 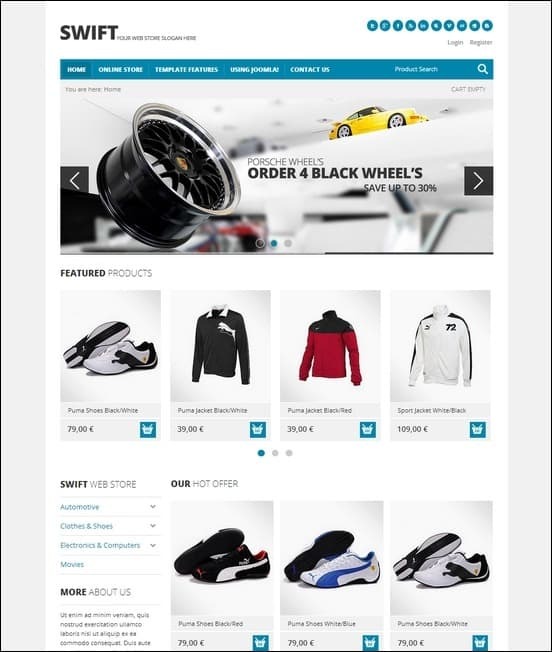 Virtuemart is a professional and fully featured solution for running a busy webshop, and there are great designs available as Virtuemart templates to get your online business started quickly. Virtuemart comes with more than 500 features and have everything needed for getting you started and supporting your online shop as it grows. Virtuemart is an open source ecommerce platform, which means many developers contribute and support it. In addition, both Virtuemart and Joomla are free to download and use. This article provides a list of 30 great Joomla Virtuemart templates I have found for you to give you a quick overview of the options available. Each template have unique features and design, so make sure to check them all out in more details. Before you choose a template you should make sure you know your requirements and expectation for future functional needs. As an example, you may want to look for header and navigation design options, slider integration, map support, product listing options, product presentation design and other page template options such as testimonials and contact page designs. If this article helped you in your search for that perfect Virtuemart template, please share and pass it on to others on social media sites. If I missed a great template that you feel should make it on this list, feel free to let me know in a comment. Mj Cart is a Responsive Virtuemart Template compatible with Ecwid Ecommerce integration, Social Media Support and 20 modules with variations. Mj Cart’s Home page include a Slideshow, Tab Product Display Section and Store Section. 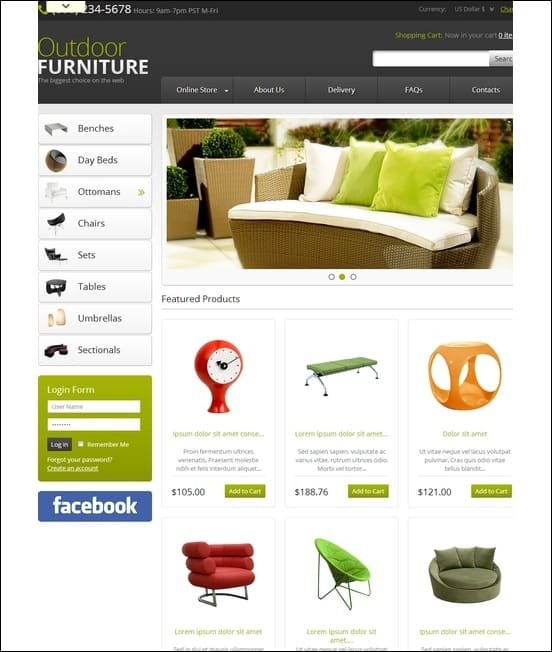 It’s a great template for furniture and other catalog style retail businesses. 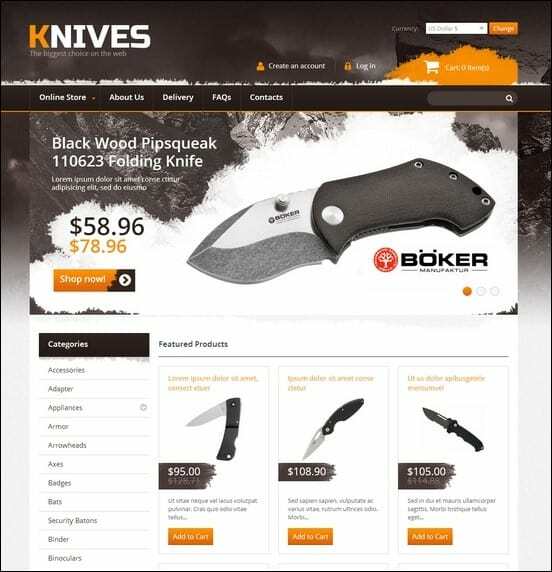 Knives on the Web is a simple Virtuemart Template that has a lot of features that’s fit for your website. 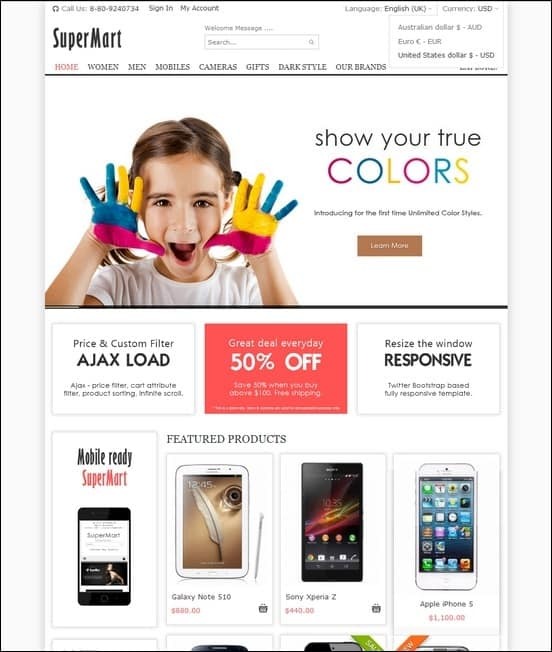 Featurs include and Ajax Shopping Cart, Custom Page Templates, Drop Down Cart and Menu. It’s a template designed for online weapon and guns store. 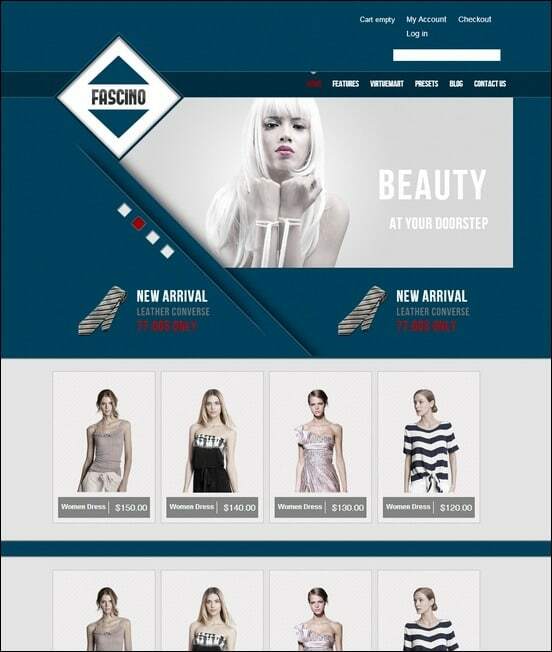 Fascino is a great responsive Joomla Virtuemart template that has 4 Usable Color Presets, a unique Slideshow integration and 3 Ready Demo Shops for you to base your designs on. It has a full functional backend option complete with shipping module for easy delivery options. 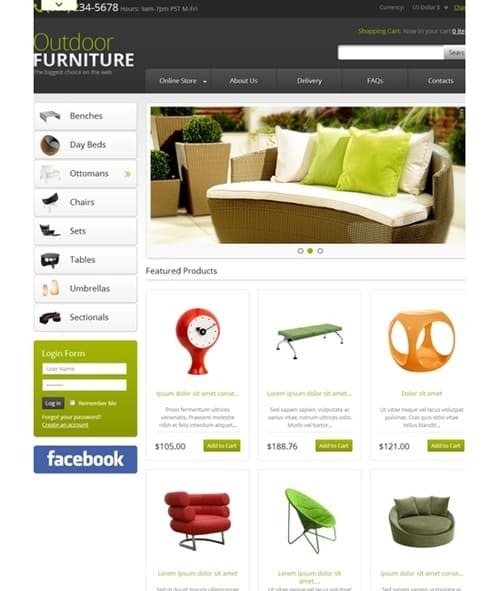 Outdoor Furniture template is a cool virtuemart template ideal for furniture and other related items and products. It’s features include Video Integration, Google map, Live Search and Easy Breadcrumb Navigation for easy website location information. It’s clean design will surely put your products in the spotlight. Xyst is a Business themed responsive Joomla virtuemart template with clean design and stunning features. it’s got 5 Slideshow modules, Pricing Table, Client Testimonial Page, Contact Us Page and Our Team Page. It’s ideal for a simple reservations website. Light Cart Virtuemart Template is a fresh and clean responsive template with over 40 modules, easy to use image slideshow and featured product slider that effetively displays your amazing product offers. It’s a template of choice for technology related products and services. 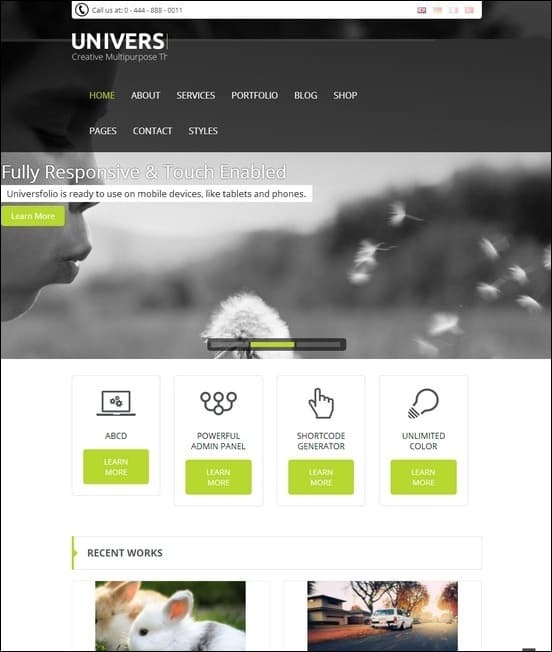 Reviver template’s responsive and multipurpose quality makes it a clear choice for business related websites. 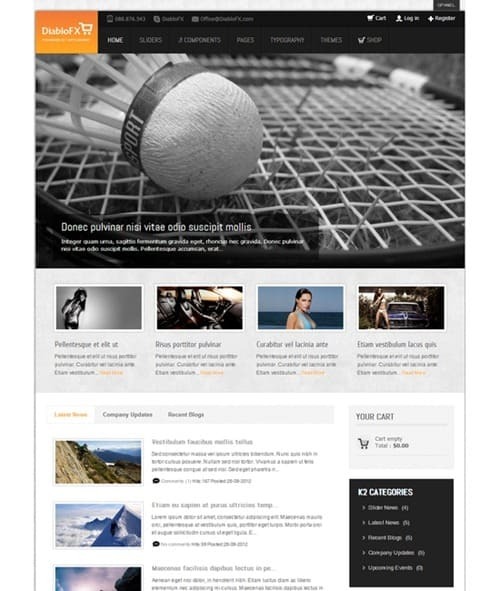 It has 6 home page styles, 3 different sliders and blog page templates. 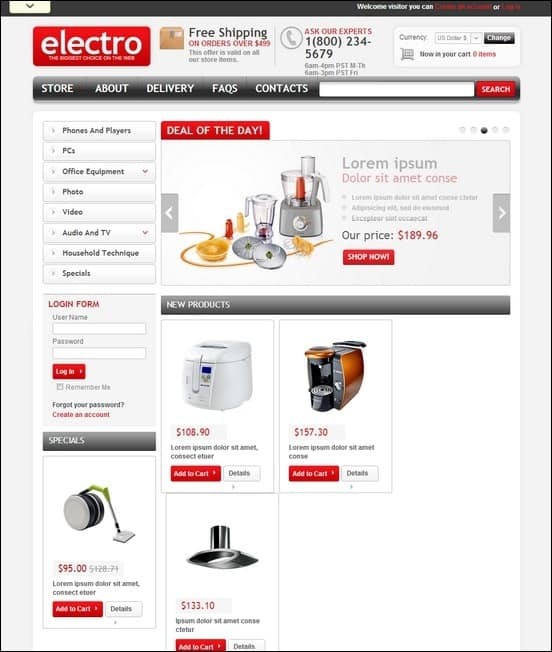 It also has a built-in Ajax price filter, List and Grid views for product images display. 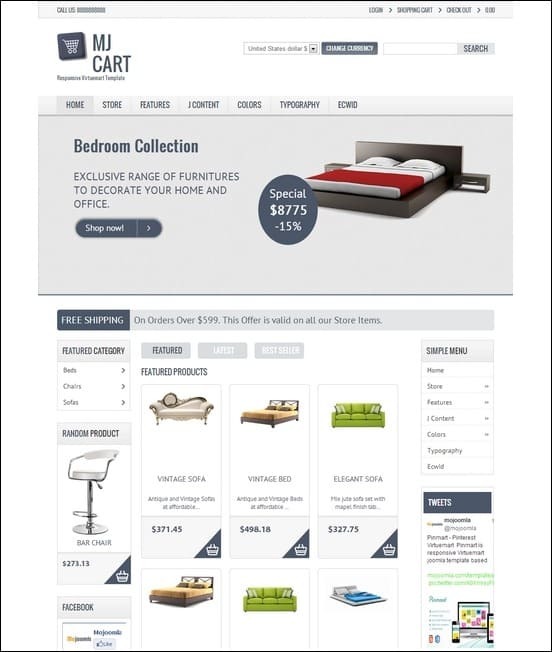 E Cart template is responsive and integrated with lots of ecommerce features to choose including 3 Demo shops, Sticky Slider, Shortcodes options and 81+ modules for you to use. It also has a Login Pop Up, PSD files and Custom Objects Slider functions for an interactive product display. It’s a great template to use for online toy stores and collectible hubs. Ivaliant is a responsive multipurpose template great for any business around. It has a highly customizable design with 8 pattern backgrounds and 9 color variations for you to choose from. Its 2 Responsive Sliders and multi column style makes your content pop out from the screen and get noticed easily. VP Supermart is a clean responsive design with the following features: Ajax Price Filter, Cart Attributes Filter, Product Comparison system and Ajax Infinite Scroll on demand. This template also has a mega menu, slideshow module and sliders for product and manufacturer details. 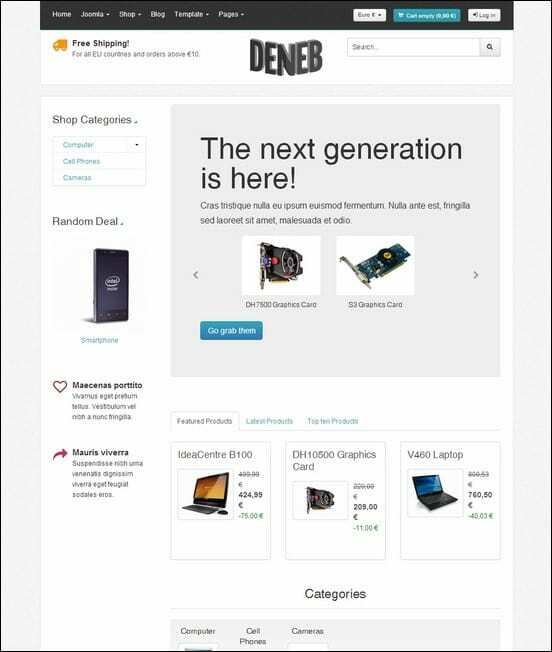 Deneb is an HTML and CSS3 based responsive Virtuemart Template that has a simple and clean design wit features you’ll surely want to have. I has integrated shopping cart, blog and page templates for you to use. It’s a good template for technology related products and services. Computer Supplies template is great for technology based-business like computer supply stores. Its image slider gallery displays latest products you have and is shopping cart lets you items you want to buy. Its main menu also uses a drop down option for easy navigation. Pajuh is a vibrant responsive designed Virtuemart template that incorporates function and design seamlessly. It has 5 color options, homepage slider and module positions. It also has Social Media buttons, Newsletter and Testimonial integrated into the site. 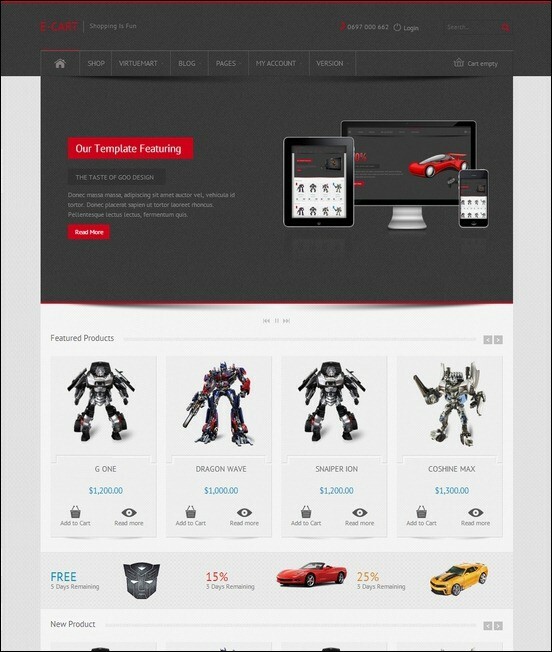 DiabloFX is a stylish template design for Virtuemart with Page Templates, Sliders and an integrated forum. It also has K2 extension for product and news categories. Its clean design is sure to effectively display your products and services in a professional way. 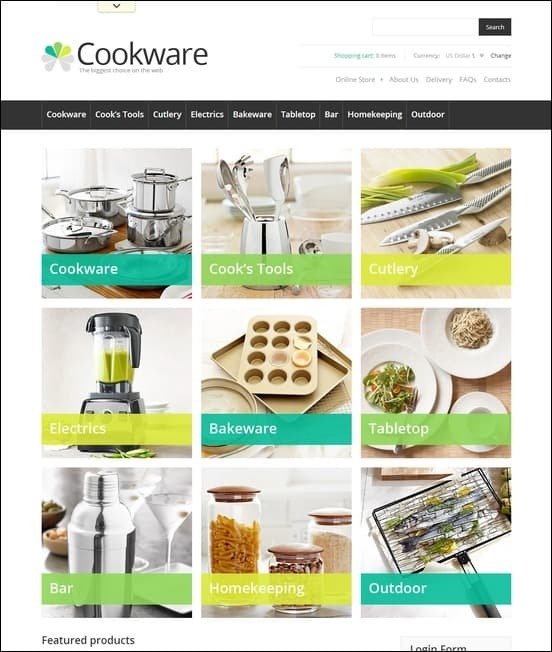 Cook’s Tools is afresh and clean template for cookware businesses. Its image give a much needed preview for your products and services. This template also has drop down menus, online shopping cart, Log in form and social media sharing option. 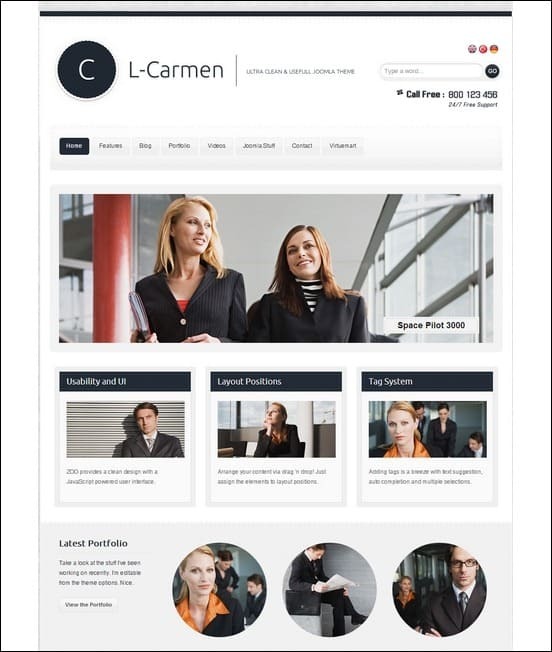 L-Carmen Clean Joomla theme is a Joomla template with 10 color styles, 20 module positions, and Pricing/Table boxes. It also has a shortcode editor for adding elements into the site as well as an easy submit portfolio slider for addig iages into a slideshow. It’s a great template to use for its versatility and functions. 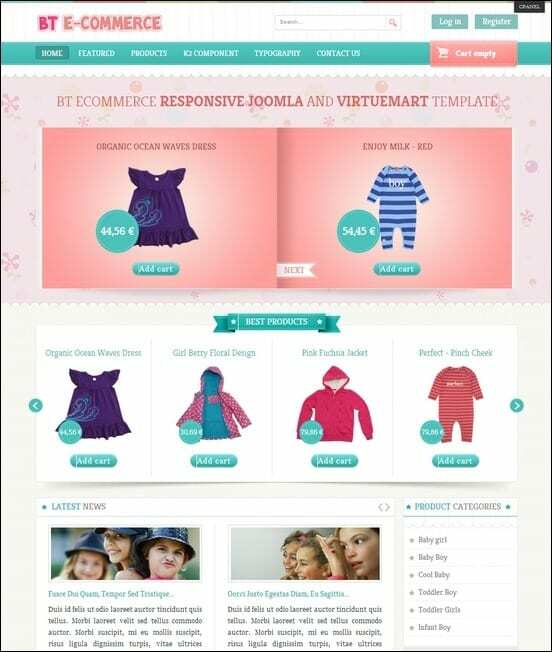 Vp Promart is a professional Joomla template with Virtuemart functions. 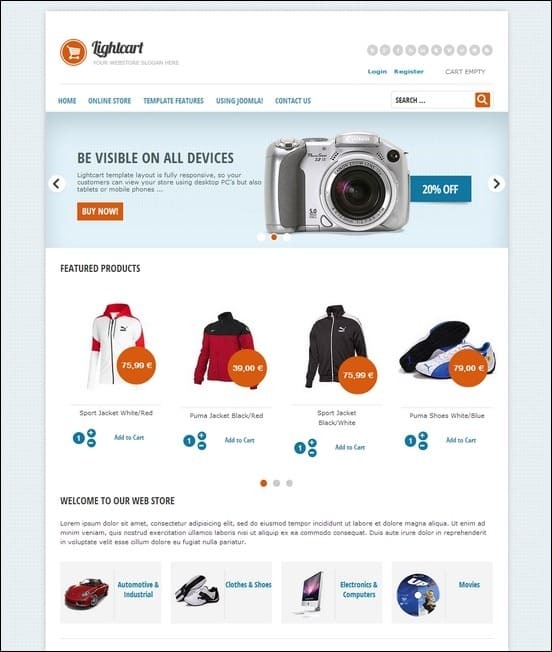 It has a shopping cart with integrated payment methods and VM page templates for your product categories. it has a slider and product image gallery for more effective displays. 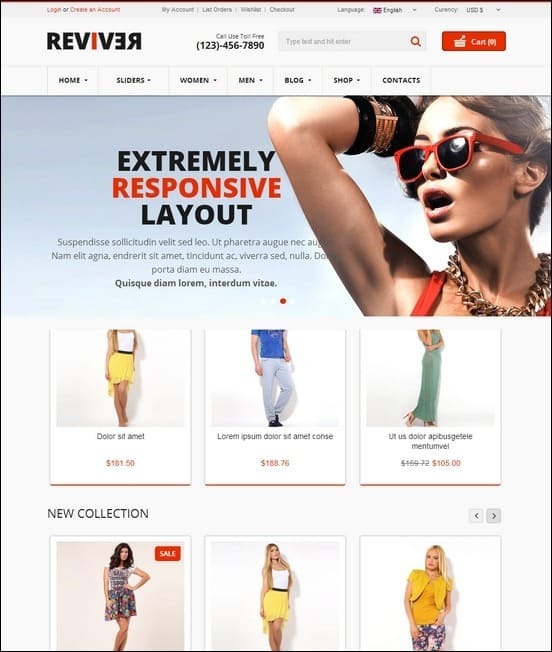 GT05 VMShop is a responsive Joomla Virtuemart Template with 5 Theme Styles, K2 and Kunena forums components. 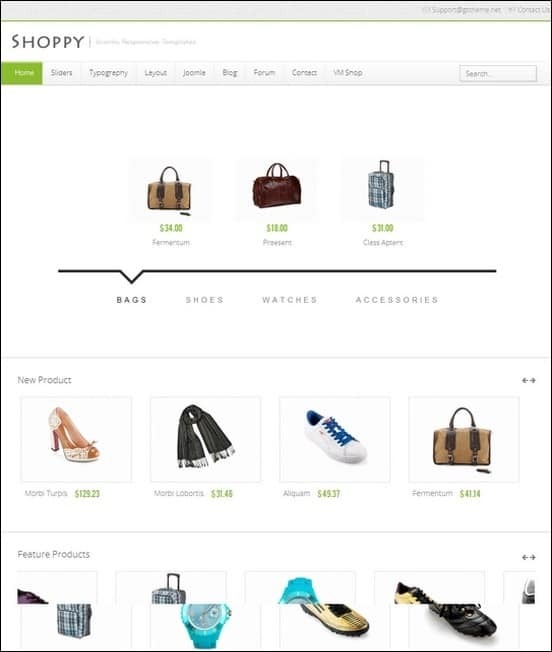 It also has a collection of Sliders to emphasize product displays, VMshop integration for ecommerce features, and Layout options for a customized look. 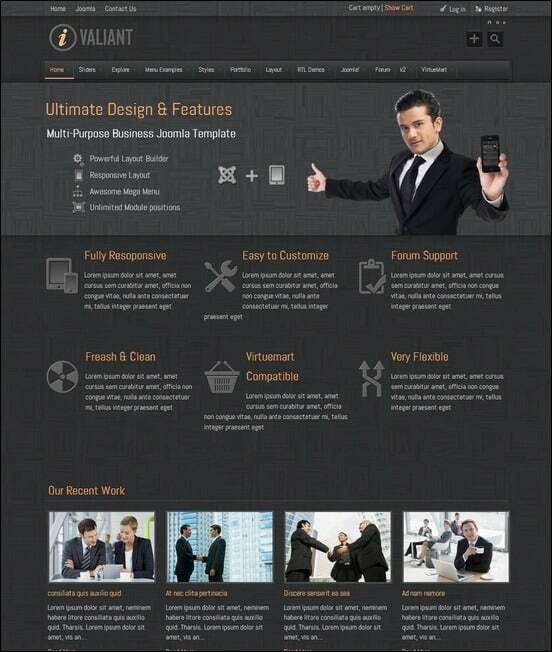 Gt05 is a flexible template for any business website online. 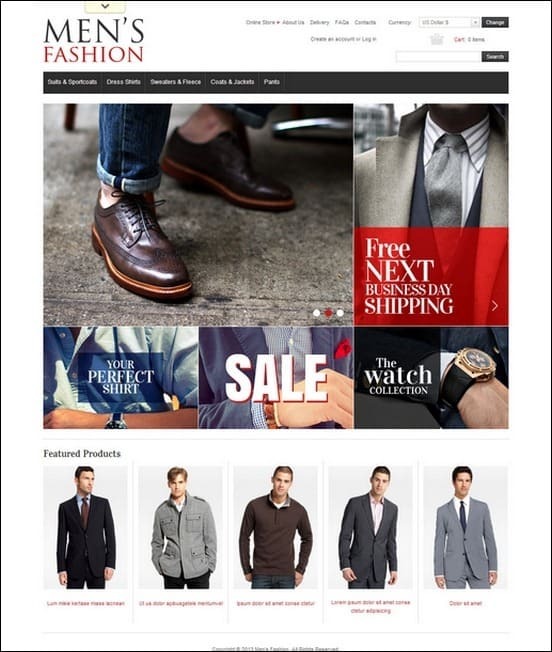 Men’s Fashion VirtueMart template is a fashionable online shop for Joomla CMS. Its unique slider and header image grids catch visitors’ attention easily. Each has mouse over motion animation that responds to customer actions. Corporative is a responsive Joomla template with Virtuemart features that includes 50+ Module Positions, Photo Gallery spotlight/lightbox and K2 custom blog styling. It has extensive typography options wit over 600+ Google web fonts to choose from as well as 330+ Font style Icons you can use to further add style to your design. 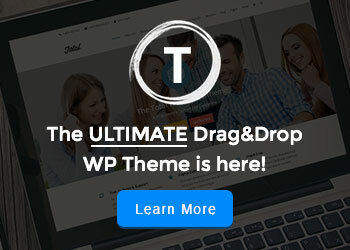 It’s a great template that surprisingly has a WordPress version too. BT E-commerce is a responsive Joomla Virtuemart Template with 6 color themes and 4 menu options to choose from. It has built in support for Virtuemart and K2 blog components. Moreover, it has 20+ module positions and inbuilt Google Fonts configuration for more customization options. 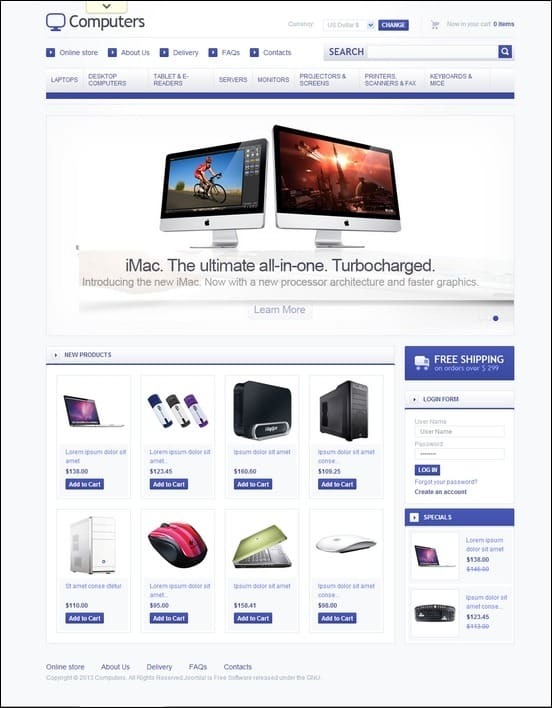 Swift Virtuemart Template is a responsive template with 6 ready made VM templates to choose from. HTML5 effects and products slider make your elements stand out on the site. It also has 45 fully collapsible module positions for you to add for function and design. Shopolo is a full responsive Virtuemart template with Dark and Light Version color variaions and Unite Revolution Slider to display your products online. It’s also integrated with Kunena clean forums and Ecwid ecommerce sopping cart support. It’s stylish image grids and colors will sure to catch your customers attention towards your products. BestShop template is responsive, stylish and functional. It has Virtuemart Shop support as well as Ecwid Shopping art support. It’s responsive grids adjust images to the size of the screen. What’s more is that is 65 modules to choose from so you’ll never have to find another module again for your site. Vp Megamart is a responsive Virtuemart template with 8 color variants and 2 body width variants in 980 and 1280 px options. It has a Unique Add to Cart feature in Product Listing pages for easy shopping options. 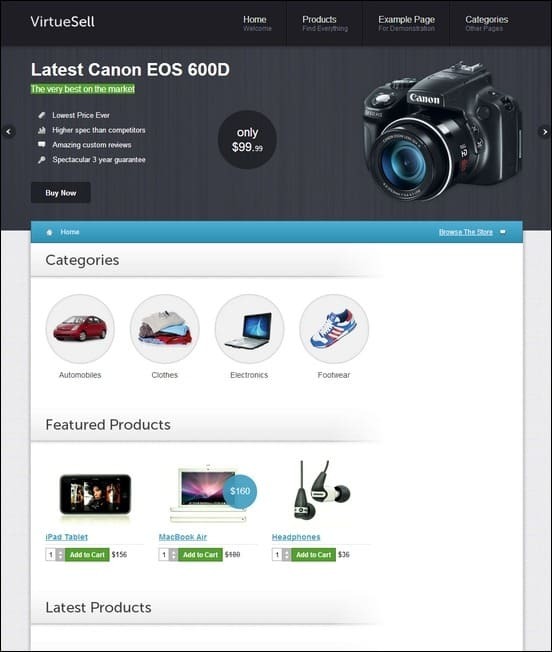 It also has Advanced Cart Attributes and Cloud Zoom Product Image galleries for a super virtual shopping experience. 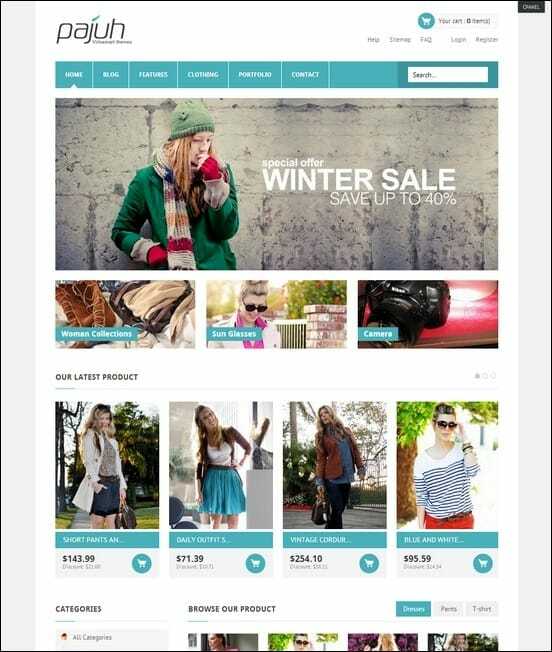 Uniersfolio is a Joomla template integrated with Virtuemart to provide ecommerce solutions for your business. it also includes features like the Revolution Slider, Megamenu, and K2 component support. 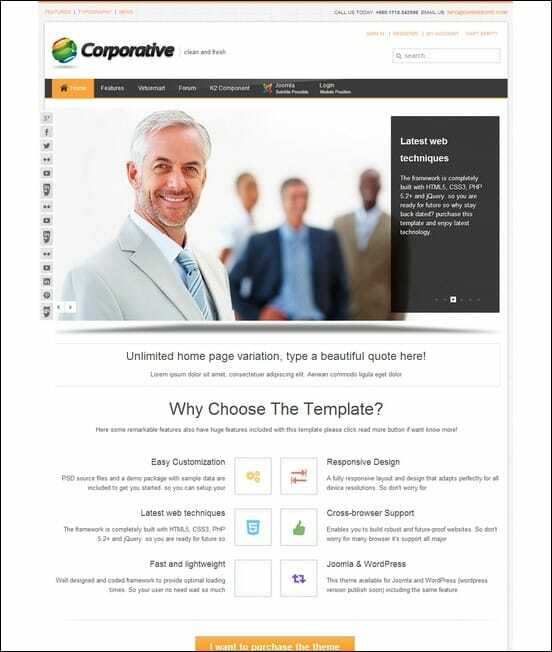 It also comes with bonus Page templates for additional pages you’d like to appear on your site. 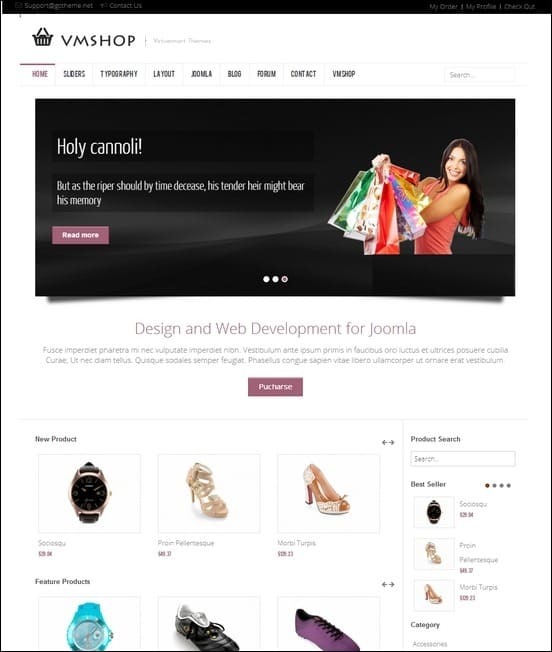 GT04 Joomla template is combined with Virtuemart features to enhance your business website. It’s responsive, clean design displays HTML and CSS3 features nicely. It also comes wih K2, Kunena forums and Quickstart Kits o get you started on your website design immediately. 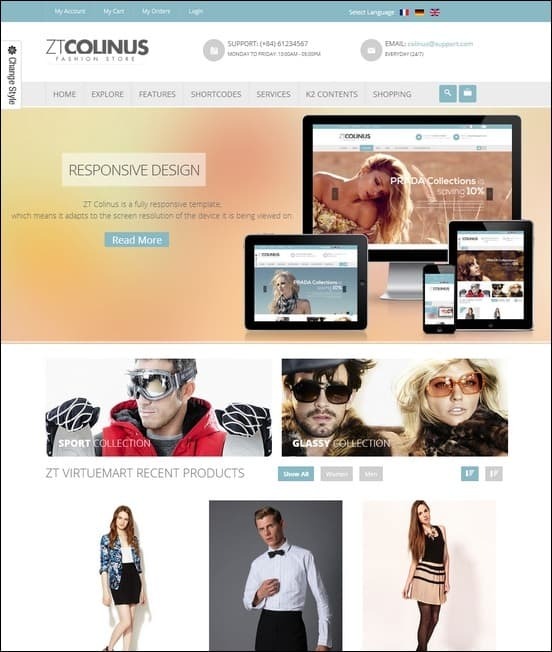 ZT Colinus template is a powerful responsive Joomla and Virtuemart template that has a Powerful Admin Panel, virtuemart extensions and K2 component integration. It also has its own ZT Layer Slider for image slideshows and an Advanced Slider that manages images from the back end. 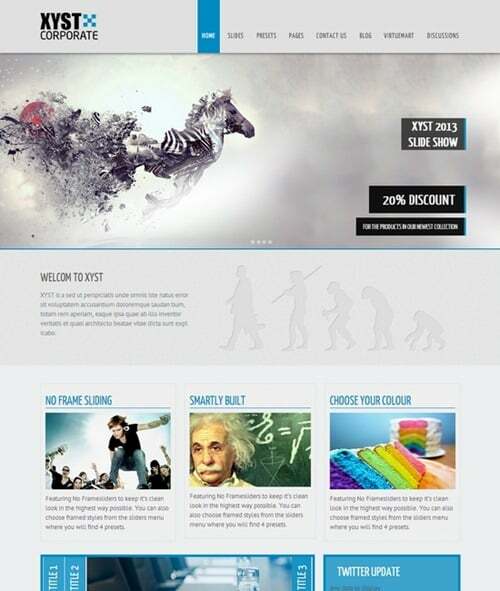 Zt also has lots of customization optons including Sortcodes to add ease of design for your websites. Electro Ware is a clean design template that highlights your products in all the right ways. It uses a slider on the main page to display feature products and it has main ad sidebar menus with drag down or fly out options. It also has three column layout for displaying new product Images and details. 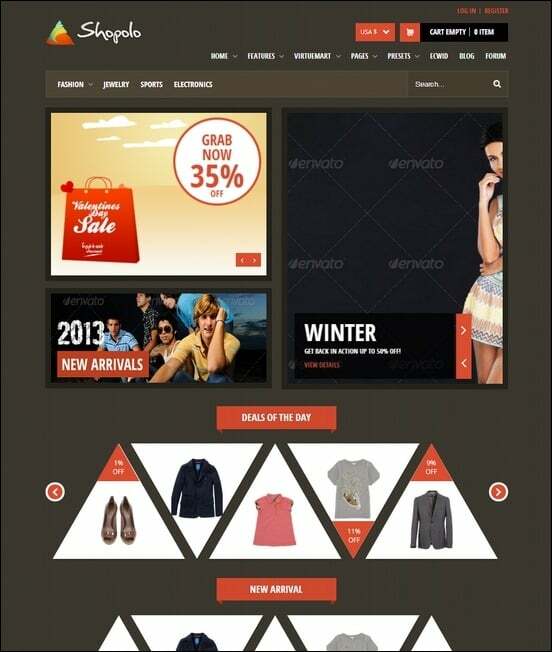 VirtueSell is an online Virtuemart store template that’s simple and easy to use. 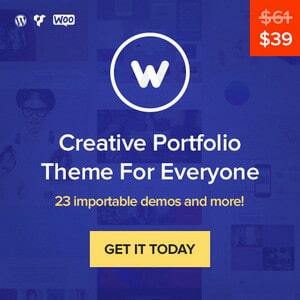 it has a featured slider and custom modules with 16 positions for your website. It also has a minimalist design and great typography elements that are easy to read. JSN Kiddo is a fun Virtuemart template with responsive design and clean layout. It also integrates K2 styling for its blog and a slideshow with a built in JSN Imageshow. It also has 36 collapsible module positions and 120 module styles with 6 lovely color variations for more customization choices. 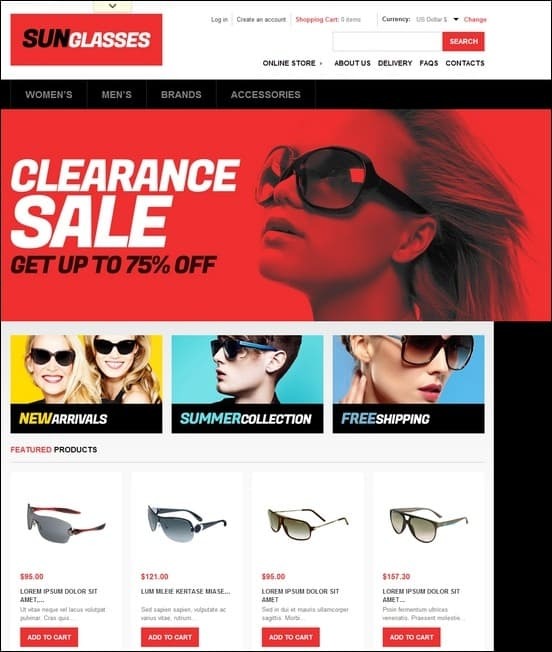 SunGlasses template is online Shop or Store Template integrated with Virtuemart features. An example of this is the Red Add to Cart button that allows shoppers to add items into their online shopping cart. 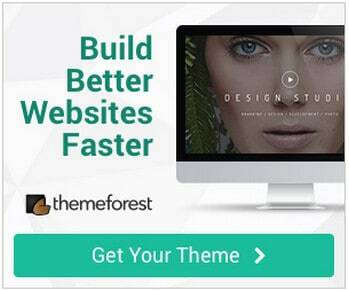 This theme’s bold and vibrant design will efortlessly attract customers to your website.